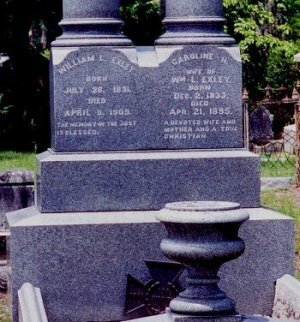 William L. Exley enlisted May 13, 1862 at Savannah. He received the commission of 1st. Lt. April 10, 1863 while serving in the 21st Battalion, Georgia Cavalry. When the consolidation of units this put Lt. Exley in Co.E of the 7th Georgia Cavalry. One of the lieutenant's jobs was to make sure the camp, men and horses had the necessities. Lt. Exley requested forage for 7 horses in September 1864. He had a special request in December: 1 wall tent, 10 shelter tents, 1 boiler, 2 skillets and lids, 1 blank book, 11 lb. nails, 2 fry pans, 1 camp kettle, 2 axes and 10 grain sacks.